The last time Afghanistan and Ireland played Twenty20 International cricket against each other, it was in the final of the Desert T20 Challenge tournament in January this year, and Afghanistan won convincingly. Batting first, Ireland was bowled out for 71 in 13.2 overs, and Afghanistan knocked off the runs in just 7.5 overs for a ten-wicket win. Mohammad Nabi did most of the damage for Afghanistan with his offspin, returning 4 for 10 from only 14 deliveries, while Amir Hamza, the left-arm spinner, Fareed Ahmad, the left-arm quick, and Karim Janat, the right-arm medium pacer, picked up two wickets apiece. The run-scoring was then left to Mohammad Shahzad, who slammed an unbeaten 40-ball 52 to finish the job for Afghanistan. That wrapped up an excellent tournament for the team as it finished without a single loss, having beaten Ireland by five wickets in the tournament opener for both sides. Ireland was dominated by Afghanistan – the conditions in Abu Dhabi and Dubai, where the games were played, working more for the Afghans than the Irish. Outside of that, too, Afghanistan has had a better run in the format than Ireland has, up at No. 9 in the International Cricket Council’s T20I team rankings, ahead of Bangladesh and Zimbabwe, as against Ireland’s No. 15, behind Scotland, Netherlands and Hong Kong. That doesn’t paint a happy picture for William Porterfield’s team, but it has done well since, going to the ICC Academy in Dubai and beating the United Arab Emirates two times out of two – by 85 runs first and then by eight wickets – in 50-over exchanges. Porterfield himself was in good form in Dubai, scoring 100 in 116 balls and 76 in 94 balls in the two games. There were impressive hands from the O’Brien brothers Kevin and Niall, Gary Wilson, Paul Stirling and Andy Balbirnie as well, while Andy McBrine, the offspinner, and George Dockrell, the left-arm spinner, were the best of their bowlers. Niall O’Brien and Balbirnie are not in the squad for the T20Is, though. The good form of the batsmen and the success of the spinners should stand Ireland in good stead as it travels to Greater Noida, the ‘home’ ground of Afghanistan, for the three-match T20I series, the first of which will be played on Wednesday (March 8). Afghanistan will start the series as slight favourites. 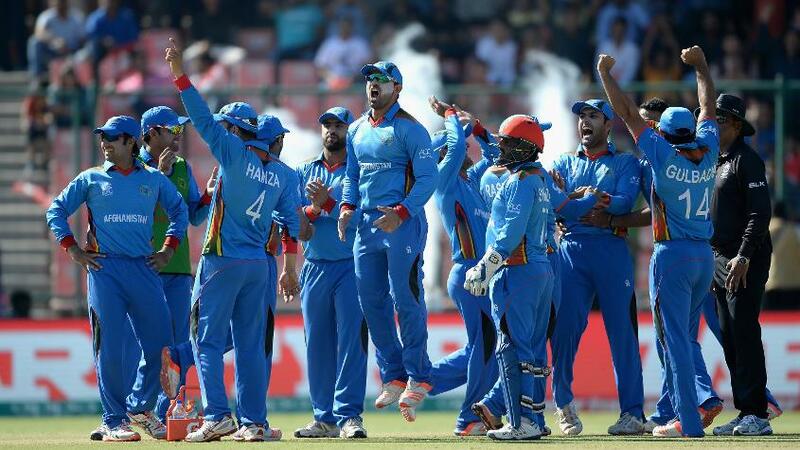 But Afghanistan must start the series as slight favourites, and not just because of its triumph in the desert. It has been among the top associate member teams in the world game for a while now, and has an excellent all-round side, which it will back to do well at a venue it is used to. There is experience in the batting, with Shahzad, Asghar Stanikzai, the captain, Najibullah Zadran and Samiullah Shenwari, while the spin has an excellent mix – Rashid Khan the star of the attack – and there is decent pace with Dawlat Zadran and the others. In Phil Simmons, who took over as coach of Afghanistan in January after being approached by the Afghanistan Cricket Board on the sidelines of the Desert T20 Challenge, it has a coach with a great CV and exhaustive knowledge about the Ireland team, who he coached during the formative years to impressive results. Simmons’ appointment should mean good things for Afghanistan, one of the most exciting upcoming teams in the game, and it could start with the fixture on Wednesday. The second and third T20Is will be played at the same venue on Friday and Sunday, and will be followed by a five-match One-Day International series before the teams square off in their four-day ICC Intercontinental Cup clash. Ireland: William Porterfield (capt), George Dockrell, Josh Little, Jacob Mulder, Andrew McBrine, Barry McCarthy, Kevin O’Brien, Boyd Rankin, Paul Stirling, Greg Thompson, Stuart Thompson, Lorcan Tucker, Gary Wilson (wk), Craig Young.